Spanish tech site Techtear is reporting that Digg may have acquired Spanish social voting site Menéame and possibly coRank as well. …Then we found out that people Digg approached Allen & Company, a private investment firm. At that time it was believed that Digg was organizing a possible sale, but Kevin Rose replied “we never comment on acquisitions.” Nobody understood it referred to the acquisition of Menéame, and not the sale itself Digg. Rumors of an acquisition of coRank first surfaced in November, when Co-rank denied takeover talks. We learned since that following these rumors (and subsequent denial) coRank was approached by two possible buyers, one of whom may have been Digg. 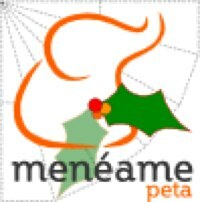 On the Menéame side we don’t have a lot of information aside from Techtear’s report and a post by Enrique Dans talking about a sale and pointing to the Meneame blog that talks about a big announcement before the end of the year. Making it harder still: Google Translate translates Menéame to Reddit (here and here). More if and when we get it.